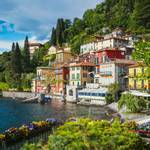 Where better than to spend a Summer week than by hopping along the lakes of Northern Italy. 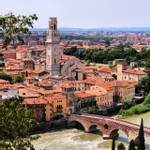 From scenery to stunning villas with boat trips and a sprinkling of beautiful islands, our new twin-centre Italian Lakes holiday showcases some of the best of this marvellous region that’s good enough even for George Clooney! 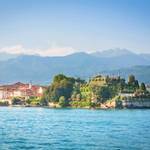 From the town of Stresa today, our guide takes us by boat visiting the three Borromean Islands, starting with Isola Bella. This charming island even though is 320m long and 400m, features a small fishing village, beautiful Baroque Palace and stunning gardens that slope down to the lake. 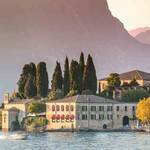 Isola Pescatori, or Upper Island due to its northerly location and picturesque ancient little village with narrow lanes is next before we move on to Isola Madre; the largest of the islands with its enchanting gardens. 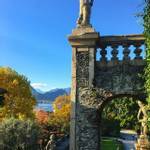 Back in Stresa we have some free time this elegant lake town. Overnight Baveno. 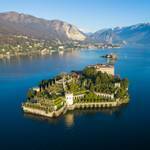 The day is yours to explore Verbania or alternatively why not head over to Lake Orta and San Giulio Island. This afternoon why not visit the stunning botanical gardens of the Villa Taranto. Overnight Baveno. Straddling the border between southern Switzerland and northern Italy, we stop for a visit of the city named after its’ Lake; Lugano. It’s then on to Cadenabbia on the western shores of Lake Como where we can stroll along the promenade or perhaps visit the magnificent Villa Carlotta museum and gardens. A boat trip then takes us over to the breathtaking town of Bellagio with its surrounding mountains. 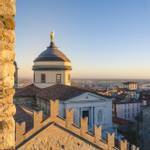 Our tour is complete in the historical city of Como with its lively narrow streets and classic town square. Overnight Baveno. 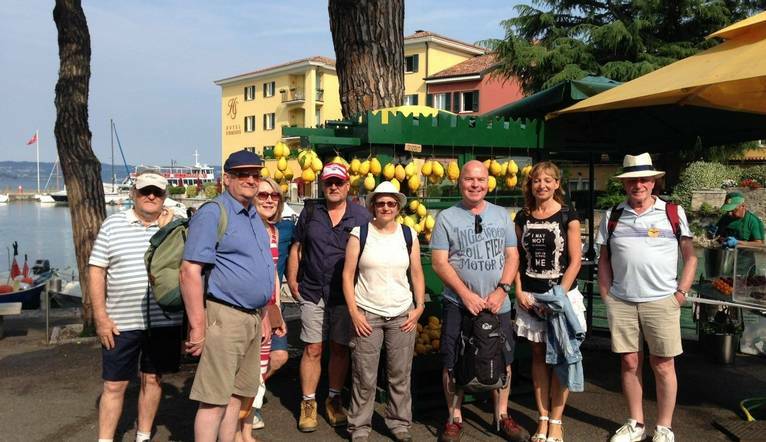 Excellent choice of tours combined with great companions made for a fun time! Our Tour Leader was an absolute star! 4. Baggage Extras eg, Golf Bags, Ski Carriage. The transfer from Milan Airport to the hotel is approximately 1 hour 40 minutes depending on traffic and local conditions. Your Tour Leader will be on hand to offer advice or suggestions if required but gratuities are offered entirely at the sole discretion of the individual. We suggest a group collection to cover drivers, porters and hotel staff of €25.00. Your Tour Leader will collect this on your behalf and distribute it accordingly, thus relieving you of the burden of who, when and how much to tip. The tipping of housekeeping will be left to your individual discretion (a small amount left in your room on departure should cover this and would be much appreciated). As is customary, ‘the hat’ will be passed around for the driver and guide on all optional excursions. For any meals that are not included in your itinerary, or taxi fares, your Tour Leader can advise of an appropriate add on. A reasonable level of fitness/mobility is required as we include plenty of sightseeing/travelling. There is a significant amount of walking on this holiday particularly due to the layout of many towns, stepping on and off boats and local transport regulations with some steps and uneven pathways. Casual daytime light-weight “layers” are recommended. Comfortable shoes are a “must” for sightseeing. Smart, casual wear for the evenings would be acceptable.